The newest breed of emulator has evolved! 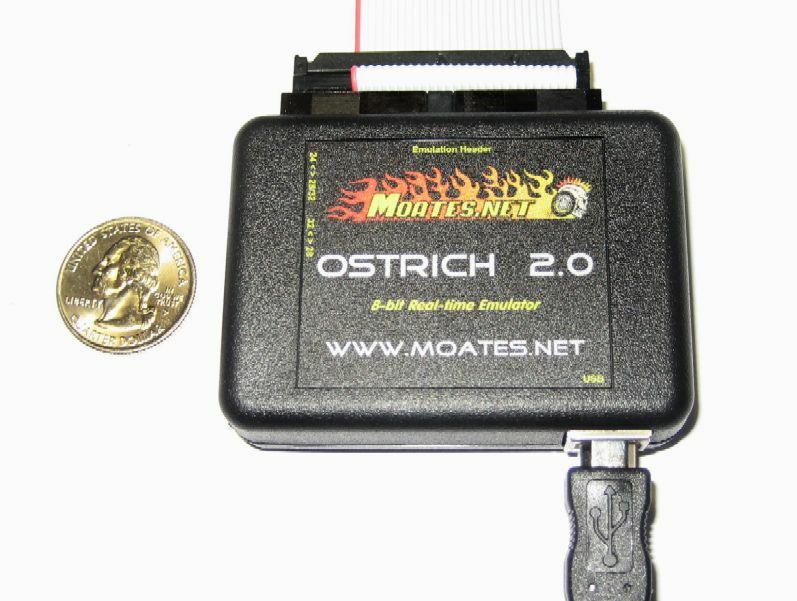 This is the newest Ostrich, the 2.0 unit. It is extremely small and compact, durable, versatile, and powerful. Full 921.6k speed, from 4k (2732A) up to 512k (4mbit 29F040) and everything in between (27C128, 27C256, 27C512). Also works in conjunction with the FordEmu interface. 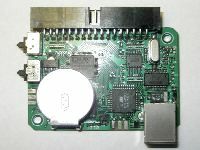 This new design distills the experience to date from the Ostrich product, adding key power features such as address tracing, totally bumpless uploads and readbacks, fully isolated and buffered inputs and outputs, easy-access pinout configuration switches, clearly marked connectors, upgraded power supply sections, long-life lithium ion coin cell battery backup, reduced chipset USB interface, and common JEDEC-compatible 24, 28, or 32-pin emulation header. The new form factor is incredibly small and compact. 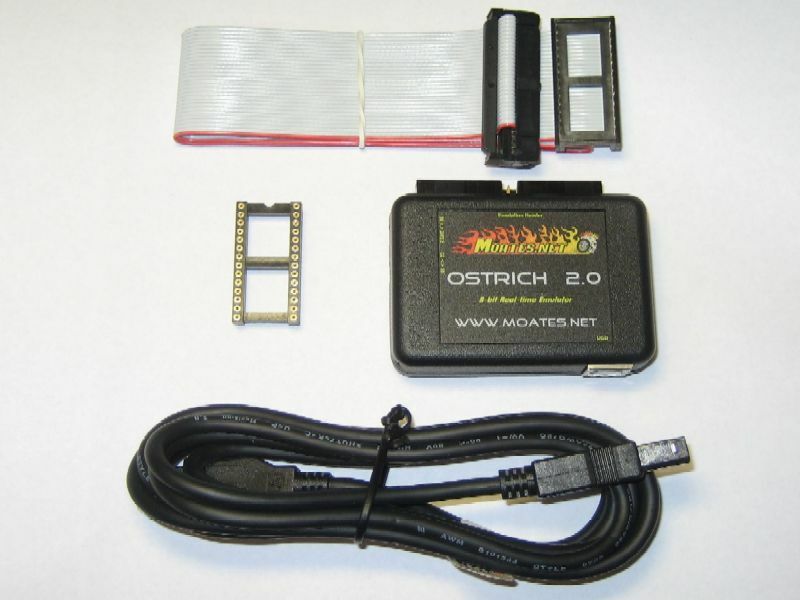 With CNC-cut enclosures, as well as silkscreened lexan product description overlay, the Ostrich 2.0 sets a new standard in fitment and appearance. With state-of-the art performance, it is without rivals. 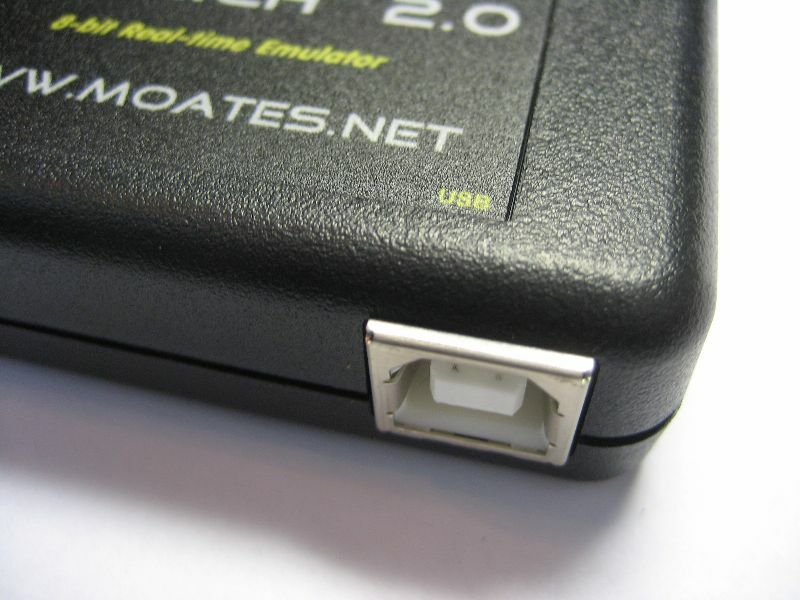 Comes with 6 foot USB cable and 18" 28-pin DIP emulation header. 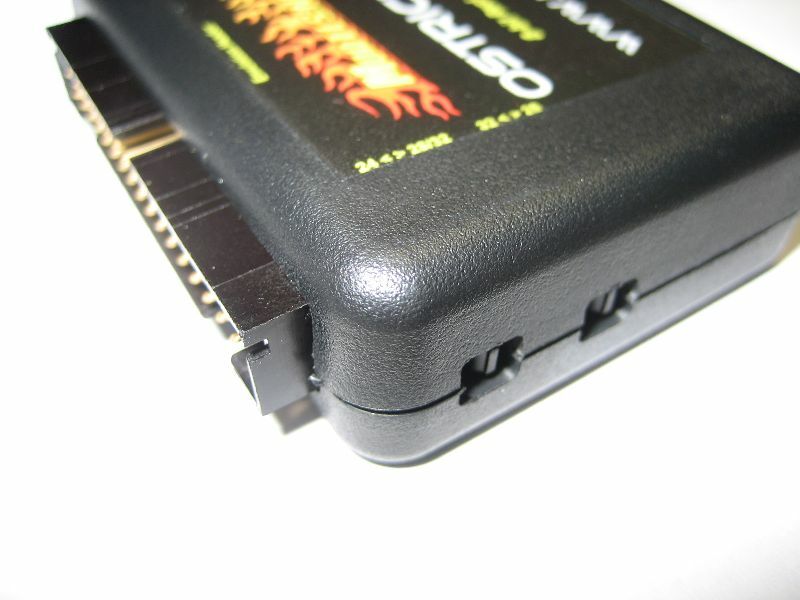 Also comes with 28-pin machine-tooled socket that can be snapped onto the emulation cable for protection and improved connections. Sorry, no trade-ins or upgrades from the original Ostrich are available.